1. All in one solar garden & street lights, new invention products. Automatic controlling system with 2 lighting mode. 2. Integration design, put solar panel, LED lamp, battery and controller all in a box, without any cable outside the lamp. 3. What you need to do when you receive them is to put them on the pole or wall, easy to ship, install and maintain. 4. Warranty: 5 years. Battery life time: 5 years. 5. 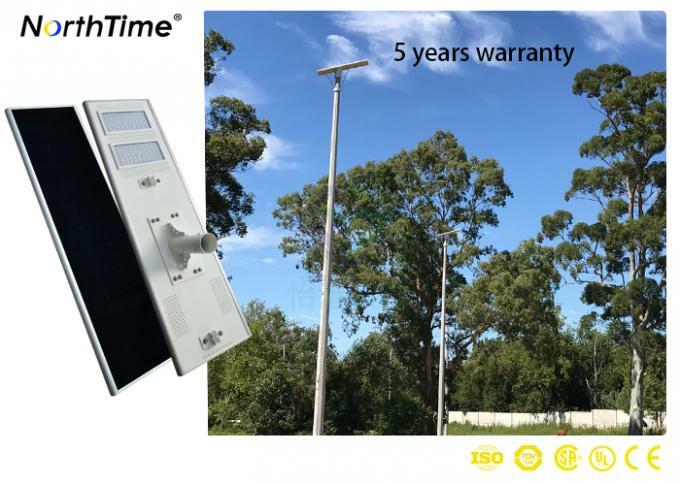 Applications: suitable for most of the streets, residential roads, industrial-zone roads, square, park, school, campus, farm, villas, gardens and other places of road lighting. Design Features: Upgraded thickened die-casting aluminum body. Great for heat dissipation and guarantee the life of LED bulb. Safer than Other lights with bad heat dissipation technology which would break down within a month. LED light bulb life span up to 50,000 hours. Sufficient wattage, provides high brightness for you.IP65, Better dustproof and weatherproof effect. Energy saving and low power consumption. 1.Solar Moon light lamp, need solar power to charge battery, please select appropriate mode based on local sunshine conditions. 2.Please avoid solar panel be block by building, trees or other obstructions, otherwise it will reduce efficiency of solar panels working, resulting in lower efficiency of system. 3. Charging temperature of Lithium battery is -30℃ to 60ºC, the discharging temperature is -30 to 60ºC, make sure that ambient temperature is in this range when used, avoid damage to lithium battery. 4. Please cleaning surface of solar panels regular, such as dirt, leaves, oil, etc., ensure high photoelectric conversion efficiency. 1. How to install the lamp? 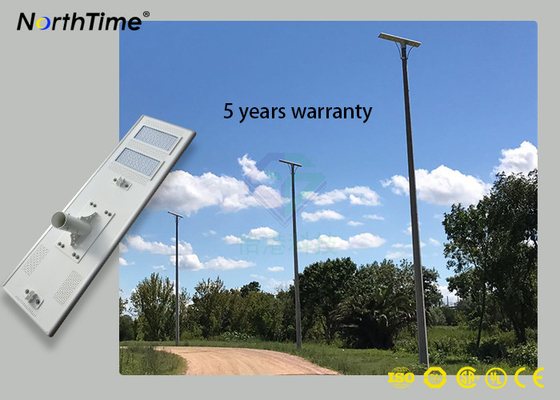 It can be installed on the pole, also the wall, and package include the screw, nut, and the spannner tools ect. Easy installation in 2 minutes. 2. How many rainy days it can last? 3. Can it reach IP65 waterproof grade? Yes, it is certificated by IP65 waterproof. 4. What's the difference between Motion sensor and PIR sensor? 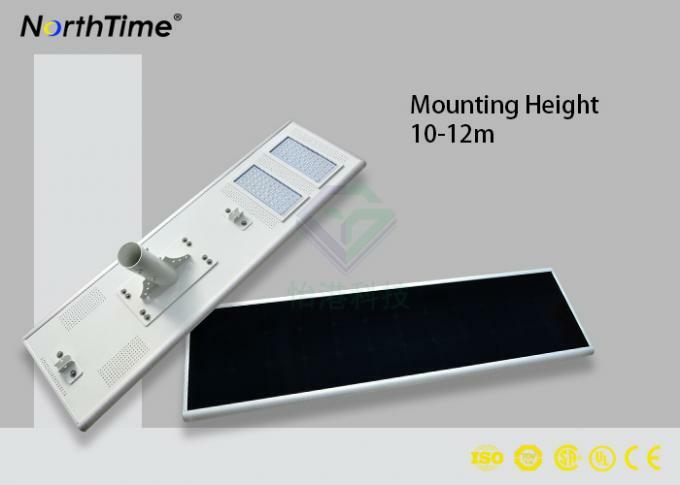 Motion sensor also called radar sensor, works by emiting high frequency electric wave, and detect people movement. PIR sensor works by detecting enviroment temperature changing, usually it's 3- 5 meters sensor distance. But motion sensor can reach 10meters distance and more sensitive. 5. Can the lamp be used in strong wind environment? Of course yes, as we take Aluminum-alloy holder, solid and firm, Zinc plated, anti- rust corrosion.